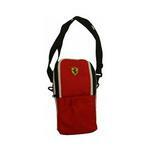 Ferrari Founded by Enzo Ferrari in 1929, the Ferrari logo has become synonymous with the utmost in luxury, style and safe design. 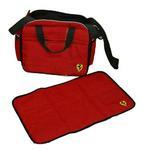 No longer limited to sportscars, Ferrari's cutting-edge philosophy transcends all of their products, which distributes everything from eyewear, pens, perfume, clothing, high tech bicycles to laptop computers bearing the Ferrari brand. 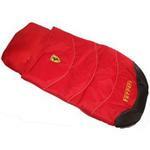 Ferrari has now expanded their line of quality merchandise to luxury booster seats for children.